The four old cats got it together again in a backalley in Aarhus, and luckily theese cats got more than one life. The Trouble Cats goes on stage with renewed energi and spreads the blues, rootsrock music at full throttle! In September 2013 Trouble Cats was restored in connection with venue Fatter Eskil's 40th anniversary. The four old cats who in 1987 formed the Blues 'n' Trouble ( renamed Trouble Cats in autumn 1989 ) , ran at each other again in an Aarhus backyard and had to admit that a cat has many lives. Trouble Cats are back in the original cast and move out on the scenes again with new energy and blues , jump and roots rock at full speed ... Hot Jumpin ' rhythm'n'blues ! 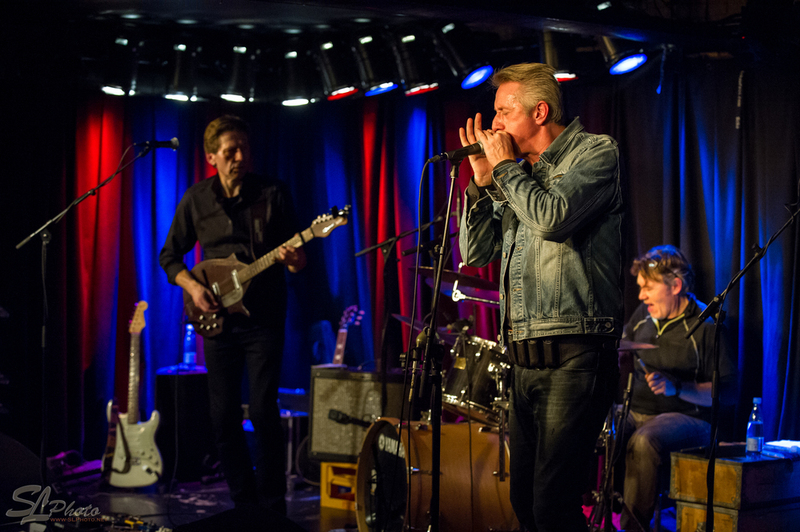 Trouble Cats were part of the end - 80s blues -Renaissance and quickly became one of the most popular , sought after and most prolific blues bands in Denmark . All the country's venues were visited by them , and they also produced two albums, " Risky Business " (1990 ) and " Plugged " (1992). After many years in which the four original members have been busy with other orchestras and jobs , the band is back together again, playing the music that originally brought them together .